It’s been reported that “up to 75% of business and IT executives anticipate their software projects will fail”. (Geneca study, 2011) There are many reasons why projects fail. Quite a few of them may be out of your control as a project manager. But knowing the reasons why projects fail can help you be proactive in addressing these areas and less likely to find yourself as another project failure statistic. If your team is not clear on the project scope, then there is no way to plan well for what you are working to deliver. An unclear scope can also cause your team to leave things out of the schedule and budget. Having unclear scope leads the team to possibly plan for more than would be necessary, or to miss the customer’s expectations. You run the risk of getting to the end of the project and finding that the customer had a different idea of what they’d be getting. Ensure that you have a clearly defined scope from the outset. It’s helpful to identify what is outside of the project scope as well. This reduces ambiguity and risk of misunderstandings. Insufficient customer collaboration can result in poor requirements. This, in turn, would likely result in the final solution missing the mark of what the customer intended. Additionally, poor customer involvement could lead to a lack of a sense of ownership by the end-users. This could negatively impact user adoption. Lack of executive stakeholder engagement and support can send negative messages about the project to end users. When executive stakeholders demonstrate little interest in a project, it can result in a lack of end-user involvement and low adoption rates. A good solution that isn’t rolled out isn’t a success. A poorly scheduled project can suffer due to schedule slippage and missed milestones. There are various situations that can result in poor scheduling. Mandated or imposed timelines, as opposed to realistic time estimates, are a real risk to creating a realistic schedule. In like manner, not breaking tasks out clearly with identified interdependencies can be another cause. It is just as risky if team members provide poor time estimates to complete tasks. Not clearly identifying interdependencies puts the project at risk as well. Get task estimates and durations directly from the team. Doing so provides greater accuracy and buy-in. Identify dependencies with other areas involved, and work with them to build out the schedule. Their involvement and input will increase the chance that everything comes together smoothly. Failure to get team input can have negative impacts on the schedule, as mentioned above. However, failing to get team input can also cause gaps in information needed for the project. Some examples of this may be insight the team has regarding other relevant projects or historical information that would be valuable going into the project. Additionally, getting team input helps develop team cohesion and morale. Not pulling together a complete budget and taking into account everything needed for project execution can lead to cost overruns. If you only make guesses rather than getting solid quotes, your actual costs might vary widely from your estimate. Also, you will likely encounter unidentified expenses. Working with team members and stakeholders to identify all project costs helps avoid this. Team members will not feel ownership for the project schedule and their tasks if they are not clear on their roles and responsibilities within the project. Failure to hold the team accountable for their tasks can result in the team missing target dates. Additionally, it sends a message to others that the schedule is flexible. Team members may take on other tasks or reprioritize work if it is not clear that they must honor schedule commitments. As the PM, you must ensure that everyone is aware of their responsibilities and all team members feel ownership for their tasks. There are many potential risks that could impact your project. Not taking the time to identify and plan for these up front leaves your project vulnerable. The PM should plan for risk as part of the project planning process. The project manager must work with the team to identify potential risks and make plans for how to address each. As risks occur, the project manager can refer to the risk management plan. If there are unanticipated risks, address them as quickly as possible. Furthermore, there may be times when you need to escalate for higher level support. Don’t be afraid to do this as it can be vital to the project’s success. Communication is a cornerstone of project success. Poor communication can result in many types of project failures. This can be anything from managing customer expectations to keeping the team aware of status and future needs. Communicating across project teams gives insight to potential impacts such as resource conflicts. The project manager needs to drive communication at all levels: with the team, the customer, and other stakeholders. Provide visibility to project information via tools where possible. However, don’t let this be a full substitute for communication. Poor communication can result in surprises and lack of support when needed for unanticipated changes. For the team, communications regarding tasks and milestones need to continue through the course of the project to ensure activities stay on track as scheduled. A solid, well-created project plan is crucial. But another reason why projects fail is insufficient monitoring and controlling of the plan. The project manager must track progress and milestones, and address all changes from the plan. There will often be changes needed to the plan, and these can be addressed with formal team change processes. However, if you aren’t monitoring the plan, the schedule can easily slip, and there’s no way to control what you’re not monitoring. Additionally, there will be times when the team needs support and guidance from you as the project manager due to unforeseen roadblocks or conflicts. For example, if management assigns team members to other projects without giving clear priority, the PM must help resolve this – especially if the workload exceeds team capacity. The project that manager is like an orchestra conductor who needs to ensure everyone continues to play on key and follow the written music. The team is looking to you for guidance and leadership. If you don’t provide it and show that the project is important to you, the team won’t get the message that it should be important to them either. 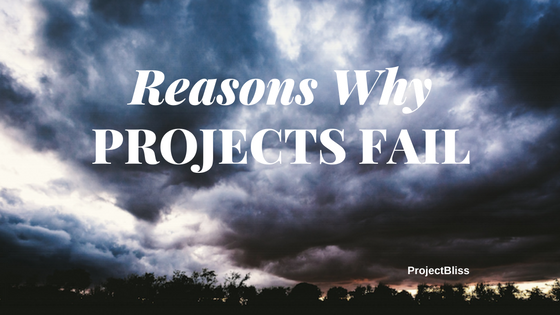 This is not an exhaustive list of reasons why projects fail but is a good representation. Keep these in mind as you start your next project to plan accordingly and avoid these pitfalls. Scroll to the bottom of the post to download the infographis. 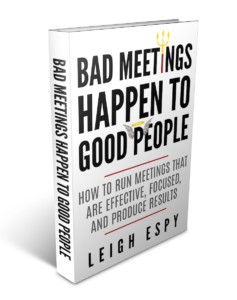 Use it as a guide to lead your future projects to success!